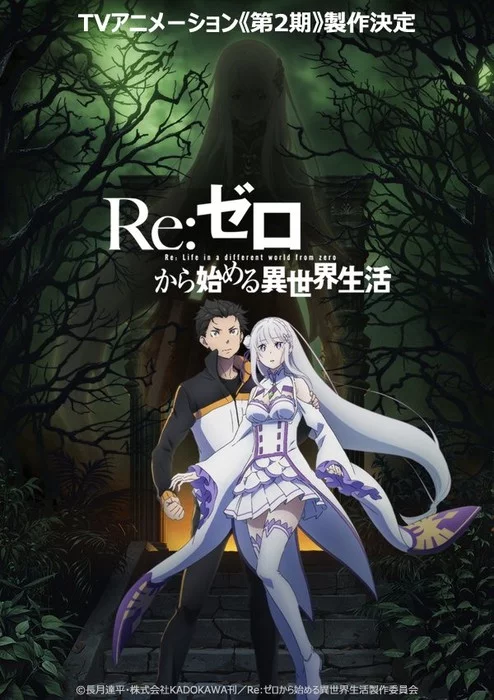 Ever since White Fox’s dark fantasy anime Re:Zero – Starting Life in Another World came to an end in September 2016, fans have been clamouring for a second season to continue the story of Tappei Nagatsuki’s popular light novel series. Their wait is almost over however, following an announcement on the franchise’s official website that a second TV anime series is in production! No broadcast date has been confirmed at this time, however. Anime Limited have licensed the series for home video release in the United Kingdom, with the highly anticipated second half of the first season scheduled for a tentative Q2 2019 release. The first season is available for streaming on Crunchyroll, while Yen Press are publishing the original light novels in English. Are you looking forward to more Re:Zero? Anime Limited announces the long-awaited release of Re:ZERO Part 2, alongside a replacement scheme for last year’s Blu-ray release of Part 1! The second half of the first series of this comic show about students trying to murder their monstrous, tentacled teacher Koro-Sensei, begins with an entirely different sort of battle. It’s a fairly quick turnaround in the UK for the release of the second series of Fairy Tail, although as the title of the collection makes clear, it is just a continuation of what was going on before.